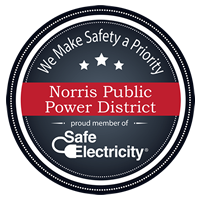 Norris Public Power District, in conjunction with Nebraska Public Power District, offers an exceptional energy education program for students in grades Kindergarten through 12. Norris Public Power District is interested in educating students on electricity and the science of energy. 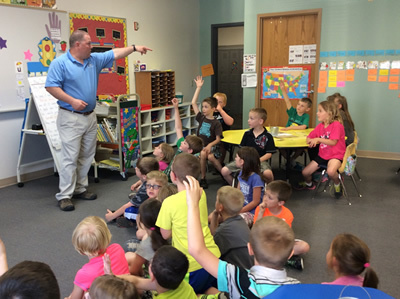 Chad Johnson, Energy Educator, with Nebraska Public Power District, has a degree in education and offers a broad scope of educational possibilities that are designed to meet each teacher’s curriculum. 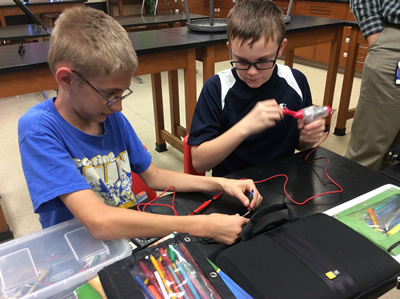 Chad has a unique ability to engage students by utilizing hands on activities, while applying his expert knowledge of science and energy, resulting in a program that continually delights students as well as teachers. For more information, please contact Vicky Jurgens at 800-858-4707 or vickyjur@norrispower.com.